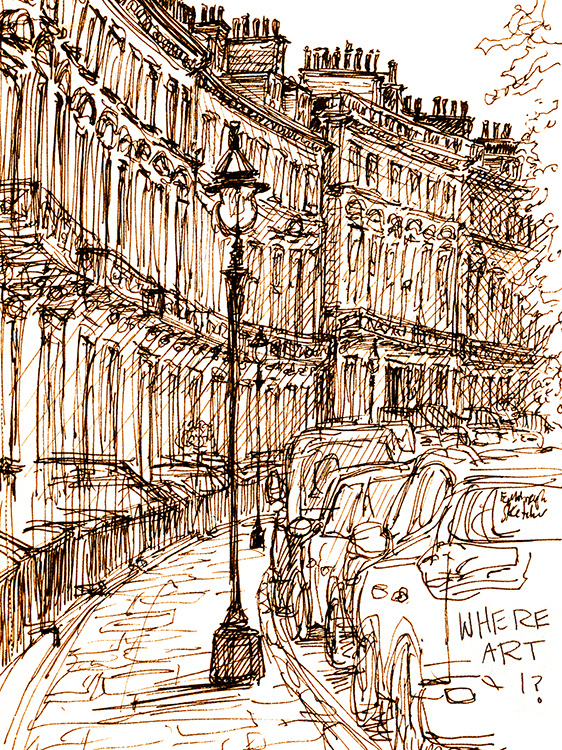 #WhereArtI 19th November: This is Clarendon Crescent in the West End of Edinburgh, although it may look like other crescents in Edinburgh this one has some distinctive lamps. Well done Lizzie Rynne who was randomly picked to go into this month’s draw for a set of my new Edinburgh coasters. More next Monday! judging by the lampposts and the flat topped railings this is Clarendon Crescent. I think this is Clarendon Crescent. Very difficult one so a bit of a randomgurss at St Bernards Cres. An odd lamppost – only other ones I found (not nearby) were on the gallery on the mound. Which didn’t help at all.